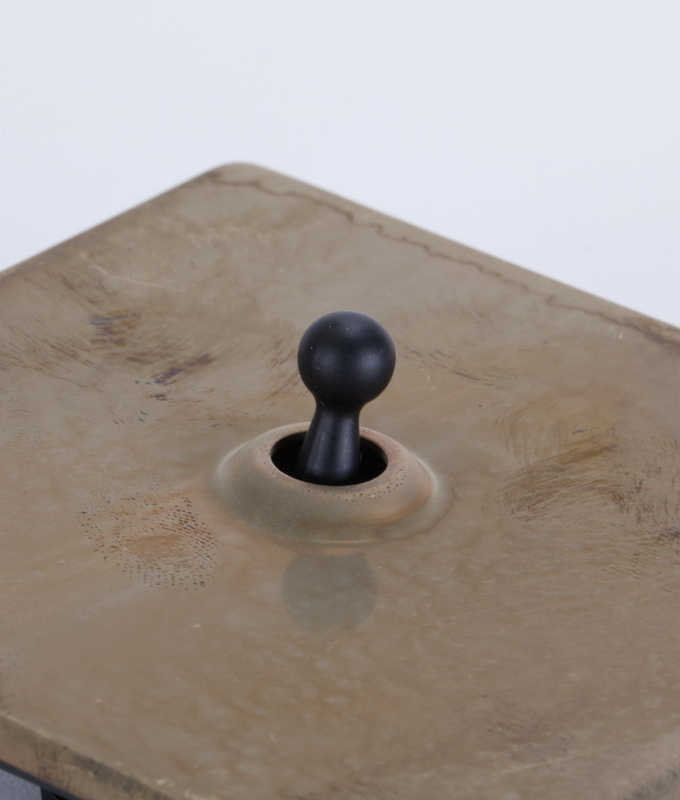 If you’re into toggle switches you’ll love this one – it’s in a league of its own looks-wise. 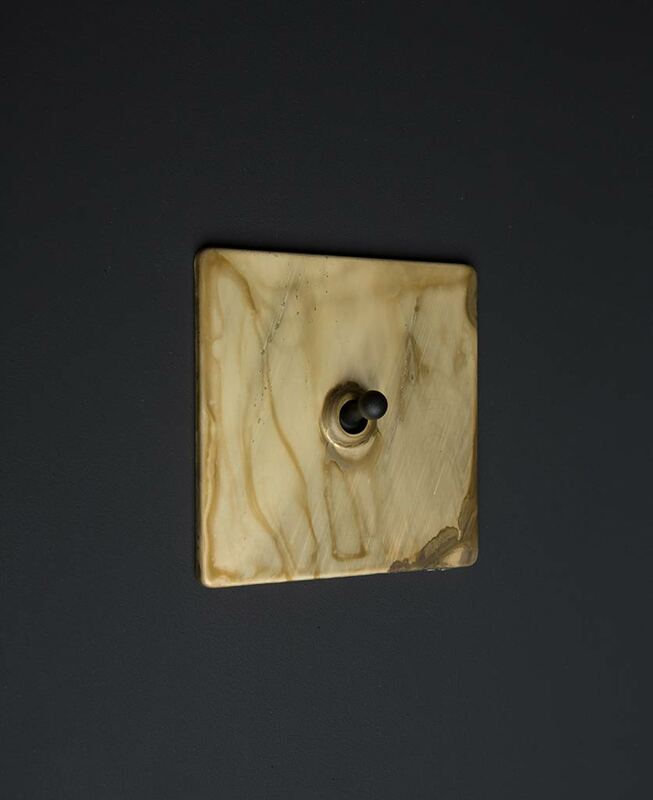 A stunning toggle light switch, our smoked gold single toggle switch has a matt metallic gold finish with textural patterns of other colours ranging through some pale greens, browns and blacks. It looks like it’s been gently scorched – if you can gently scorch something that is. 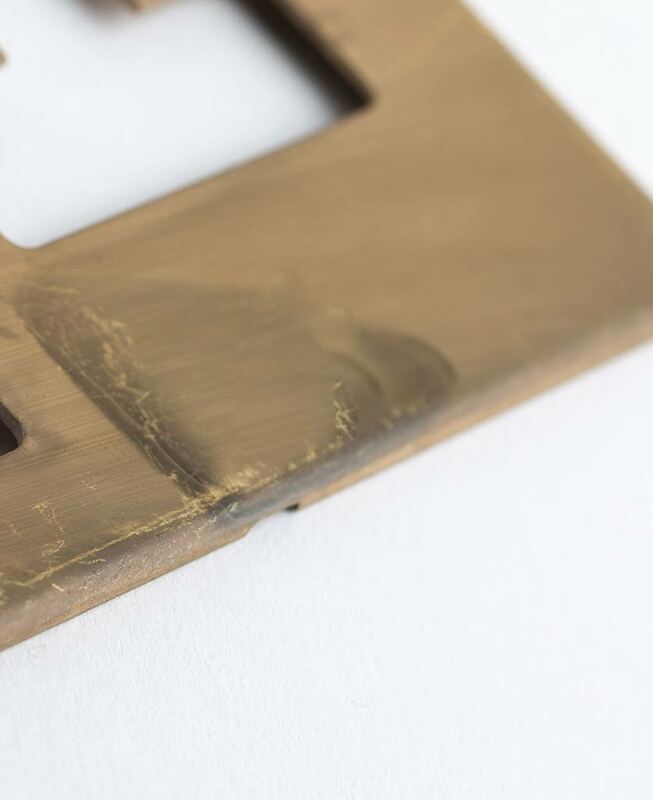 Our so cool smoked gold single toggle switch has a retro toggle and features a low key matt gold plate. 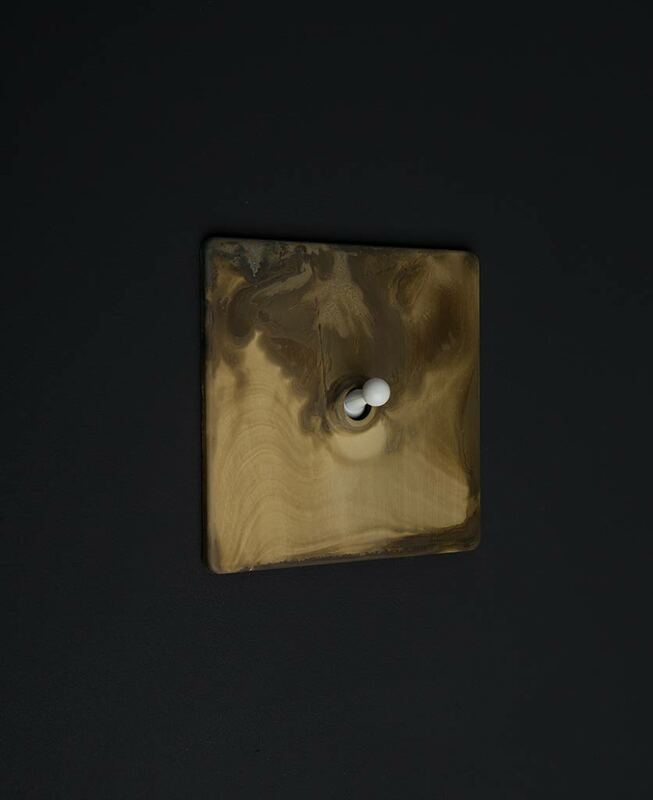 One of these stunning switches makes turning your lights on an absolute pleasure – in fact, we challenge you to not turn them on and off an extra time just for satisfaction. 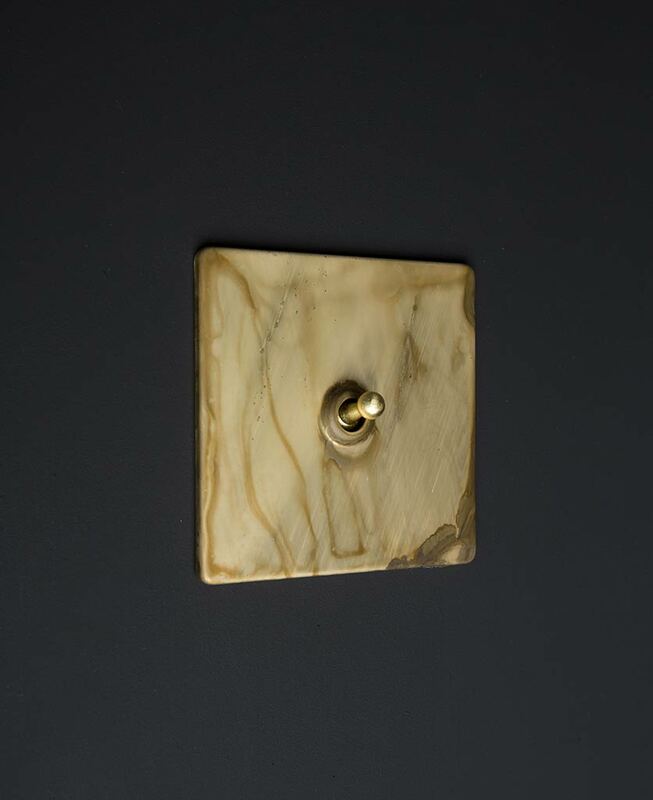 We created these designer toggle light switches ourselves so they’re exclusive to us – you won’t find these anywhere else. They’re the perfect finishing touch to any industrial-style interior. If you love this single toggle gold switch, check out the matching double toggle switch and our other co-ordinating smoked gold light switches and plug sockets. 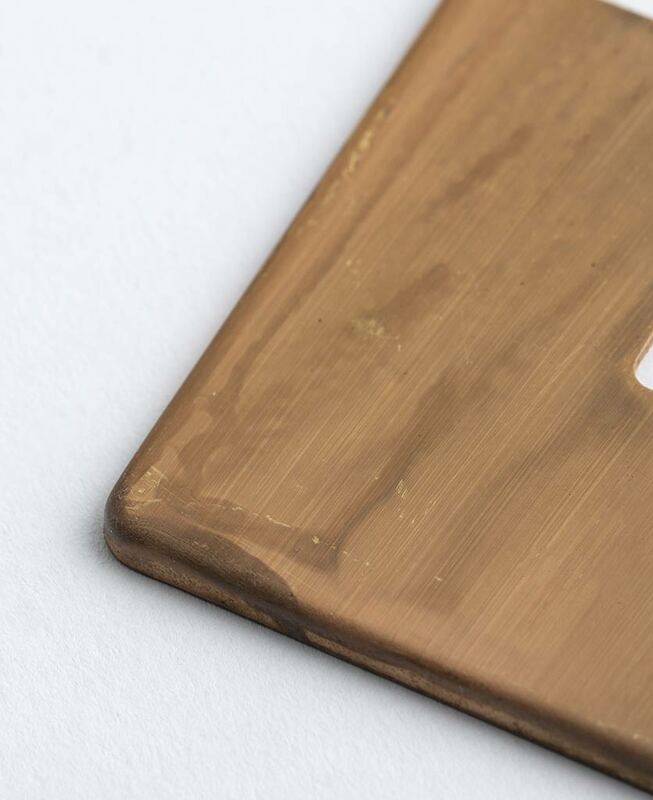 The brass finish is made to age and change with wear making each switch unique.